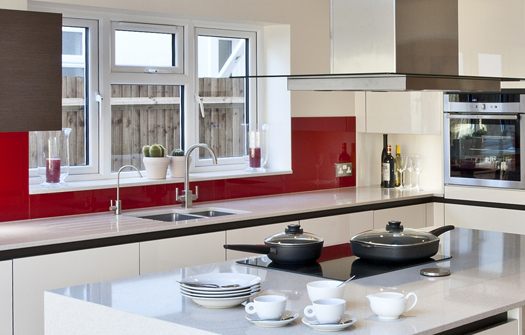 We used a punch of red to liven up the kitchen in this new-build home, creating the perfect cocktail of a striking modern design blended with ease of use. 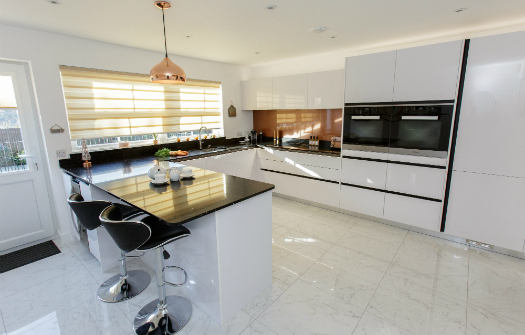 The client had had a new home built in the garden of their family home, selling off the original house so that they can enjoy their retirement in a new home without going through the stress of relocating to somewhere away from friends. 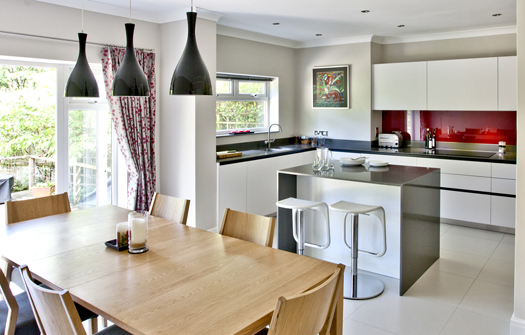 The brief was to create a modern kitchen with clean lines that would be easy to look after. 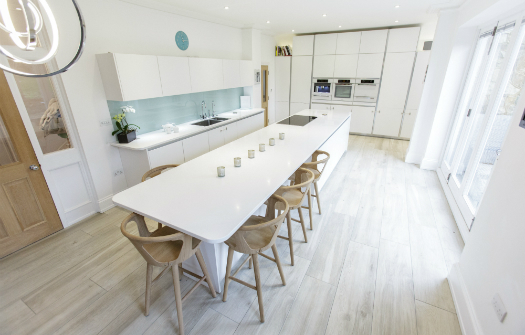 A central island provides the hub of the room, creating a natural flow around to the worktops, sink and fridge. 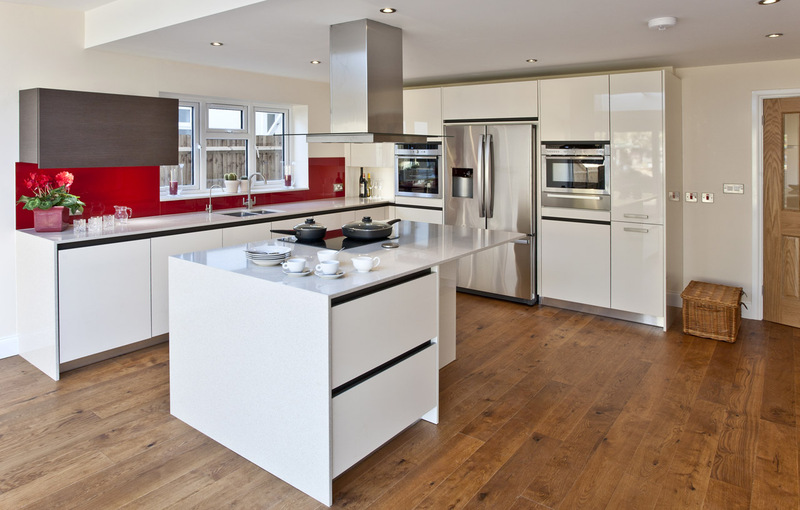 We achieve the clean lines using Pyram’s handleless gloss units in neutral cream, then added a splash of red to bring some zest to the kitchen at the heart of this new home.